In response to many requests from potential customers, Archer Airguns has just introduced two zoom scope combo versions of the Stoeger X20S Suppressor air rifle. Instead of the factory 4 x 32 scope and rings, we are offering the XS20 Suppressor fitted with a choice of mounted, sighted-in Leapers zoom scopes and solid one-piece mounts. There's a 3-9x50AO combo and a 4-16x50AO combo. 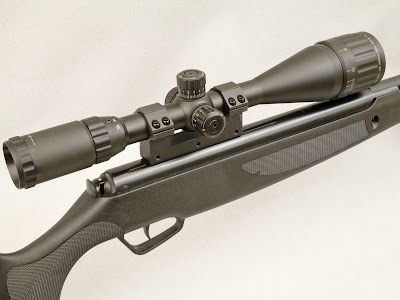 These combos offer a superior scope/gun combination than the standard factory offering, particularly for hunting where the quiet shooting characteristics of this air rifle are of considerable use. The larger objective lenses give a brighter image and the much greater magnifications of these scopes will aid accurate shot placement. And, this gives a choice of mil-dot scopes on Stoeger air rifles as standard for the first time. This is a unique offering from Archer Airguns. I hope that you will find it of interest!